If you're anything like us, you've taken a look at a forgotten stretch of blank, white wall in your house, and thought, "man, that would look really great with a beautiful canvas print of some lemurs on it." Or maybe you're less weird than us. Either way! This is a guide to creating your own, totally legal, beautiful canvas animal art. 1. Browse Creative Commons Creative Commons isn't a store or a site; it's actually a license for art on the internet. If you upload a photo you took or some art you created online, you can give it any of several Creative Commons licenses, which tell everyone else exactly what they're allowed to do with it. Everything you find on Wikipedia has a Creative Commons license, for example, but a lot of Flickr photographers also use it. It's really great! We use this Creative Commons search tool, which lets you pick all kinds of repositories of art, from Wikimedia to Flickr to Google. This ensures that you're not stealing somebody's art--very important. Giant anteater has absurdly long tongue. 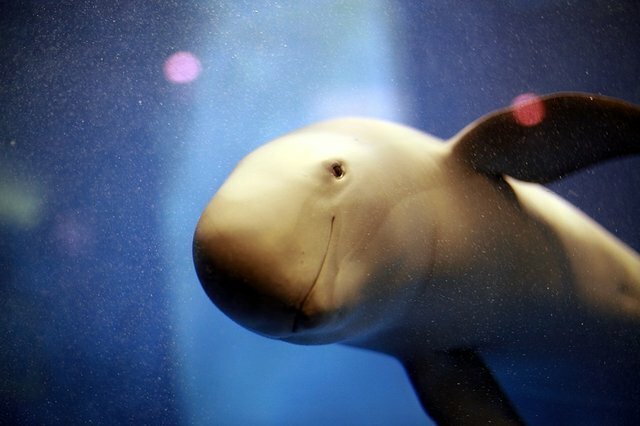 Finless porpoise is so happy. 3. Don't Forget The Old Stuff One of the best, most underrated parts of Creative Commons is that lots of really old art, especially drawings and paintings, are available, thanks to public domain laws. Here in the U.S., if a work of art was published at least 80 years ago (no matter which country it originated in), it's officially in the public domain, and thus free for anyone to use in any way. (That's why anyone can just write a Sherlock Holmes book.) There are some absolutely incredible old artists that you can mine--here are some of our favorites. Joseph Smit was a Dutch zoological illustrator. His sketches are amazing. 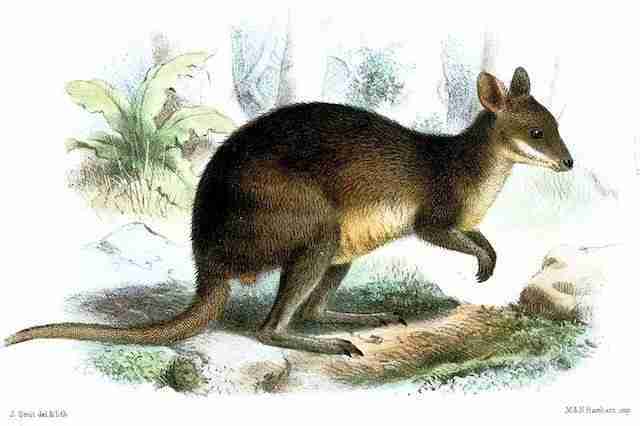 Just look at that little wallaby. All of the slides from Alfred Edmund Brehm's "Brehms Tierleben" are available as well--absolutely gorgeous black-and-white sketches from the world's first major zoological encyclopedia. Check it out here. Also fantastic resources: New Yorker Louis Agassiz Fuertes, who contributed to early Audubon and National Geographic publications; Charles R. Knight, who painted dinosaurs, woolly mammoths, and other creatures of the past; and Joris Joostensz Laerle, who holds a special place in our heart for his sketches of dodos. 4. Pick The Right Image The image you pick has to be as large as possible. When browsing Wikimedia, always click on the "full resolution" link right below the image. If it's below about 1,000 pixels wide? It'll be too small for your purposes. You can always shrink a high-resolution image, but it never looks good to expand a low-resolution image. Also, a white background is best for drawings, since the canvas itself is white. Once you find the one you want, right-click on it and save the image to your desktop. 5. Head To A Printing Site Now what we're going to do is find any of several cheap-ish online canvas printing sites. You can go even cheaper and print out a large image on standard poster or photo paper--even Staples will do that for you--but it won't really look wall-worthy. You want to value your animal picture! Canvas looks great and professional, and we've had good experiences with these sites. My personal favorite is called Easy Canvas Prints; they often have the cheapest prices, and they regularly have giant sales. Right now they're doing a 40 percent off sale for the holidays. Another good option is Canvas On Demand; they're a little bit more expensive, but their shipping turnaround tends to be a bit faster. Any of these sites will walk you through the sizing process; you may have to do some trial-and-error to get the right size, but it's not too hard. The most important thing is to make sure your image isn't getting cut off at the sides. And these sites almost always have some kind of sale; there's no need to ever pay full price to get online printing done. As far as size goes, some of these images are big enough to make enormous prints. Be careful to measure your space before you order, to make sure it fits. Once you're sure, order away! And enjoy your new animal art.